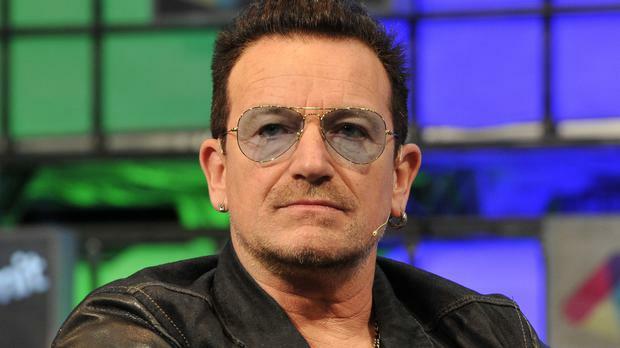 BONO'S cycling accident in New York could force U2 to postpone their new world tour. The Sunday Independent has learned that the band plan to kick-start their new tour in North America next June. However, sources last night said Bono would need at least three months to recover from the painful injuries he suffered in last Sunday's collision. The singer suffered multiple fractures that required two separate operations after he crashed while trying to avoid another cyclist. X-rays and tests at a leading Manhattan hospital revealed Bono fractured his left eye socket and broke his left shoulder blade in three places. He also suffered a left elbow fracture that left the bone in six pieces. Bono underwent a five-hour operation at the New York-Presbyterian/Weill Cornell Medical Centre and Hospital for Special Surgery on Sunday night, during which he had three plates and 18 screws inserted. The following day he had surgery to repair a fracture to the little finger on his left hand. Orthopaedic trauma surgeon Dr Dean Lorich confirmed Bono was expected to make a full recovery, but would require a lot of therapy. A source told the Sunday Independent: "The injuries will take at least three months to recover. Bono plays guitar a lot, and his arm and shoulder will need extensive physiotherapy if he is going to be ready for the tour. It all depends now on how quickly he can recover." But the accident couldn't have come at a worse time for U2, who are finalising plans for their first world tour in three years, the initial details of which are expected to be announced later this week. U2 will stage the first shows of their global juggernaut in the US. Sources hinted the tour premiere would be staged in New York, where some of the band have homes, but this has not yet been confirmed. The group kicked off their last world tour - U2360 - at the legendary Madison Square Garden venue. The dates and venue for the group's first homecoming concerts in Dublin since 2009 - when they played three back-to-back sell-out gigs at Croke Park - have yet to be finalised. It will be U2's first time back on the road since 2011, when the band's two-year U2360 tour grossed more than a staggering €736m. The group has hinted they are not planning a massive stadium money-spinner this time around, and are instead looking to play more intimate, indoor venues. But, according to sources, Bono and the boys are likely to make an exception for their Irish concerts, which are likely to be staged in either Croke Park or the Aviva Stadium. U2 have played Croke Park 10 times since 1985. In an interview earlier this year, Bono further admitted he found it harder than ever to tour and leave his family. He said: "Only if the songs are great can you bear leaving home. We all have families and mates and... so you know, you're looking for 11 great reasons to leave home and I think we've got them. You know what it's like now, it's like a whole city goes on the road with us. Our kids go out on the road, they get excited about it." The Edge told Rolling Stone magazine at the time: "The tour is still in the planning stage, so it's too early to describe what it will be like. I think we will start small. We certainly can't get any bigger than the last tour."